Nine shopping carts were abandoned. Your students will need to use their skills of observation and inference to figure out who might have abandoned these filled carts! A great activity to practice an essential reading skill. 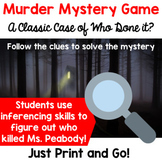 This notebook files guides the class along as they solve the Murder Mystery clues using inferences. NOTEBOOK FILE ACCOMPANIES Murder Mystery!!! 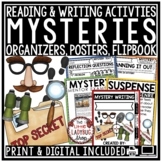 Inferences resource that is available for purchase in my store. 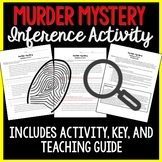 Great and fun way to have students make and understand inferences! 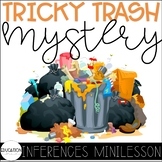 Here is one mystery inference activity for FREE. If you like this one, be sure to check out my store for some more! 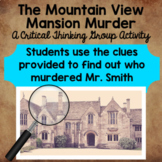 My students love to solve mysteries. I started to create mysteries that they could solve using reading and inferencing skills. They love it! 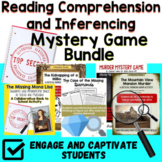 Also included in: Mystery Game Big BUNDLE 10 Mysteries! Make inferences and build connections! 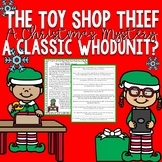 Holiday Mystery Game - Students use inferencing to solve the Christmas Mystery! 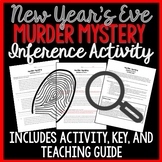 Also included in: Holiday/Special Mystery Game Bundle - Fun and Engaging!